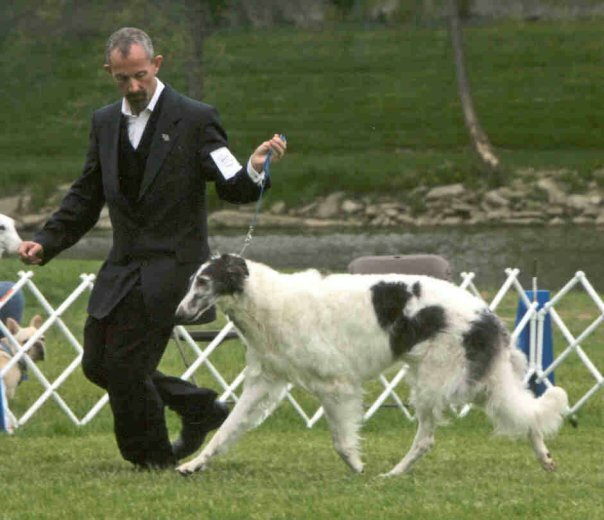 "Freida" is pictured moving with Steven Evans, Mistraka, in a photo by Steve Surfman; her standing photo is by Rebecca Neal. 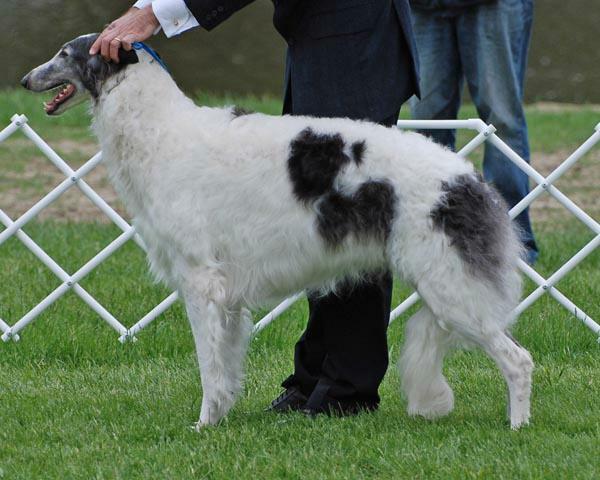 A supported show winner, "Freida" is sired by our BISS CH Lythe Grand Illusion out of Can. CH Lythe Mississippi Mermaid.